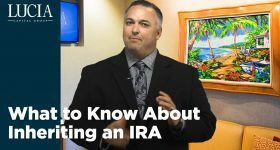 In the past, anyone who took any amount of money from a qualified plan or IRA would be allowed to exclude that distribution from their income if they transferred those funds back into an eligible retirement plan no later than 60 calendar days from when they received the funds. Sounds easy, right? But the problem is that if you missed that 60-day window for any reason, and you still hadn’t put that money into an eligible plan by day 61, you’d find that the entire sum was now taxable – AND, if you’re under age 59 ½, you’d probably be hit with an additional 10 percent penalty for taking an early distribution. This was a huge problem. People either forgot about the deadline, or they didn’t even know it existed, or they figured it was 60 BUSINESS days instead of 60 calendar days, whatever… Some people have lost retirement accounts because they didn’t know about the 60-day limit. In my experience, I’d see people mess this up all the time, especially those who weren’t working with a financial advisor who would help them keep track of the dates and make sure they didn’t miss the deadline. 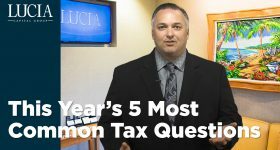 That one mistake cost them a lot of money, and in some cases knocked them up into a higher tax bracket. But that’s now changed. With this new revenue procedure, the IRS is extending the deadline for rollovers and is giving everyone a second chance. Under this new procedure, a taxpayer will “self-certify” that they deserve a waiver to the 60-day rule if one or more of eleven special circumstances applies to them. 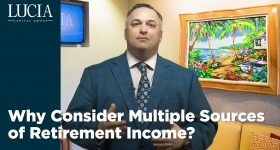 These special circumstances include a death or serious illness in the family, severe damage to your home, a misplaced or uncashed distribution check, or a mistake by the financial institution. Once the IRS accepts the waiver, the deadline will be extended until such time as those special circumstances no longer exist. From there, you’ll have 30 days to get the money back into a plan. Keep in mind that the 60-day rule didn’t go away – you just have to have a valid reason for missing it. Excuses like “I forgot,” or “I didn’t know about the rule,” or “I was too busy” or “the dog ate my homework” still won’t cut it. 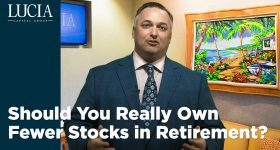 If you take a distribution from a qualified plan or an IRA you need to be aware of what the consequences are if you don’t do it correctly. That’s why you work with us as financial advisors. We know the rules, and we’re always looking out for you.